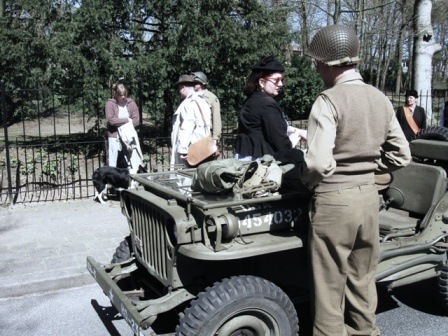 April 17, 2010, saw the members of Yank Reenactment join forces with Club Interbellum, a 1930-1945 civilian history group in The Netherlands, in celebrating the liberation of the Dutch town of Ede, on April 17, 1945. 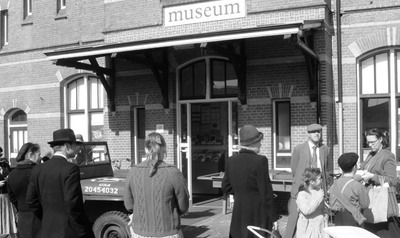 Link up of 'period civilians' and military reenactors was at the downtown Ede Central railway station, now the Ede historical museum, even though a one track train service still runs there. In the morning Lucky and his jeep Sweepie offered rides for the town's youths. In the afternoon a vehicle column was formed on a outskirts road leading into town. There were a least 25 or more military vehicles, ranging from a M24 Chaffee tank to jeeps, from Bren carriers to motorcycles. 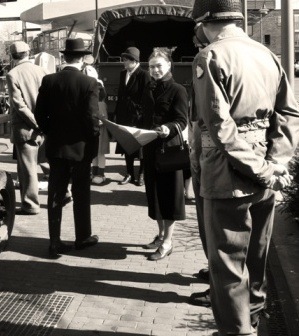 When the column moved into town the roads were lined with cheering people, young and old, waving little Dutch flags. It was a most moving sight. 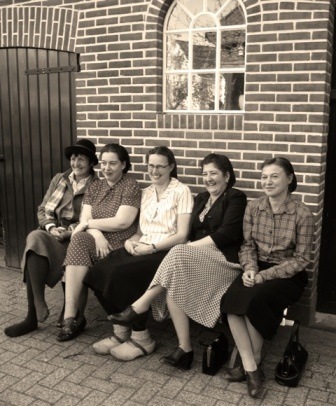 After the tour was completed we were offered a drink and a meal at a nearby Dutch Army barracks. A last drink was enjoyed by all at the tour organizers house. A most wonderful centuries old Dutch farm house, a nostalgic oasis amidst recent urban developments. The farm is an official monument. And not just to Dutch rural history but also to its most wonderful owners and restorers Aunt Janna and her husband.